I’m so glad I’m off this week… it’s like time to recoup!! Unfortunately I did get sick at the beginning of my Spring Break.Â Yup, that’s how lucky I am!! I’m all good now, thankfully. 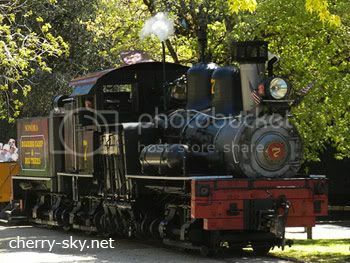 Saturday we took Kaylie to Roaring Camp & Santa Cruz. It was an all day outing. I started feeling sick that day but I blamed it on car sickness since driving over the hill can get you pretty woozy with all the twists & turns.Â We had a nice day out.. the weather was beautiful & super sunny.